Pedro Gomes and Luke Lohr look back at the past weekend of action and reflect on the growth of the Canadian teams thus far. Discussions about Roy Miller's future and the reasons behind Mike Petke's decisions continue as well as the latest signings around NASL. 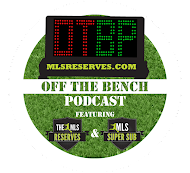 Off The Bench: It's Football, Futbol, Soccer. The FC Dallas video that Luke and Pedro were praising can be seen here. Fantastic stuff. Another awesome video can be seen here. This one is fan made by the San Antonio Scorpion fan group known as The Crocketteers. Great to see fans growing the game. Note: It is NOT a Harlem Shake video...and we can be thankful for that.